the floodgates of her heart and the pent up poetry about her life just poured out. Whispers). Currently she is working on a fantasy love story. Enter Today - 10/28 - 11/15! Diana is ready to begin a new chapter in her life-until the husband she believed dead reappears at her engagement party. Diana Brennan came west on the orphan train and was given a home with a loving couple who cherished and spoiled her. At 17, she fell hard for Tyson Applegate, the son of a wealthy mine owner. After a whirlwind courtship and marriage, Tyson took off for adventures around the world, including fighting with the Rough Riders in Cuba. Receiving no word of him for seven years, Diana's infatuation with her dashing husband died an ugly death, and she is ready to move past the old pain and marry again, just as soon as Tyson is declared legally dead. But when her husband returns, supposedly a changed man, he wants to reunite with his wife and run for the senate. While Diana suspects the election is his real reason for wanting her by his side, she agrees to maintain his home and to campaign with him, but when it is over, win or lose, she wants her freedom. He agrees with one condition----she must give him a chance to change her mind about him. BELOVED is the third book in Ms. Hatcher’s Where the Heart Lives series, but it easily stands alone. I had the privilege of reading the first book in the series, Belonging, but haven’t read Betrayal yet (it is on my wish list.) However, while BELOVED is part of a series about siblings, they do stand alone. I thoroughly enjoyed reading BELOVED, and recommend this book to all historical fans. Ms. Hatcher has really managed to bring this series to life, helping us to get to know both Diana and Tyson. I hated some of the choices Diana made, and really fell in love with Tyson. I hoped they would work things out. I loved the way some of the secondary characters played out in this story. If you like historical fiction, don’t miss BELOVED or any of the books in this series. Discussion questions and a snippet of another book are included at the end. $14.99. 304 pages. 4.5 stars. Let the simplicity of the Amish draw you closer to God. In this instantly connected world, it’s surprisingly easy to lose our connection to God. What’s admirable about the Amish lifestyle is that it intentionally slows the pace of life so there’s an opportunity to see the everyday grandeur of our great God. Not everyone can—or should—adopt an Amish lifestyle. But the Amish can inspire all of us to slow down and simplify our lives. We need to learn to let go of our glittering gadgets in order to grab hold of something of infinitely greater value—the Divine. 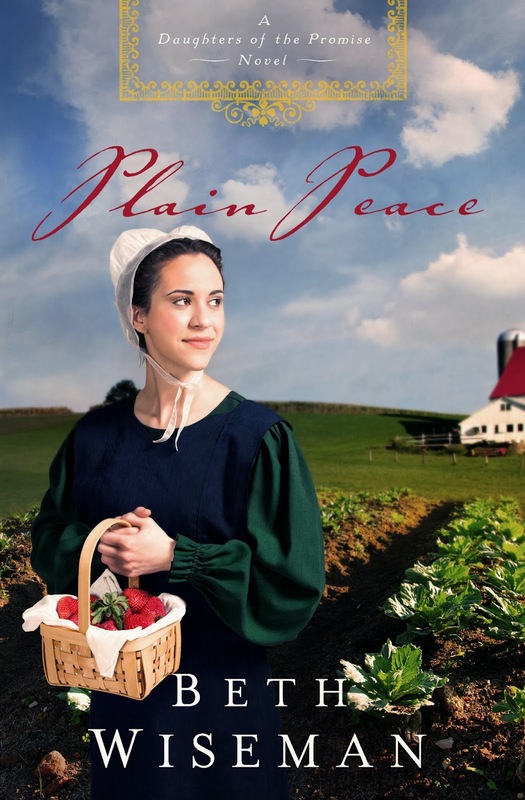 The One Year Book of Amish Peace will inspire you to set a sustainable pace of life so that you, too, can take the time to enjoy God’s gifts each and every day. THE ONE YEAR BOOK OF AMISH PEACE is a book full of daily devotions, dated, so you never lose track of what day you are on. They include an Amish proverb, a Bible verse, a devotion, and an short prayer. 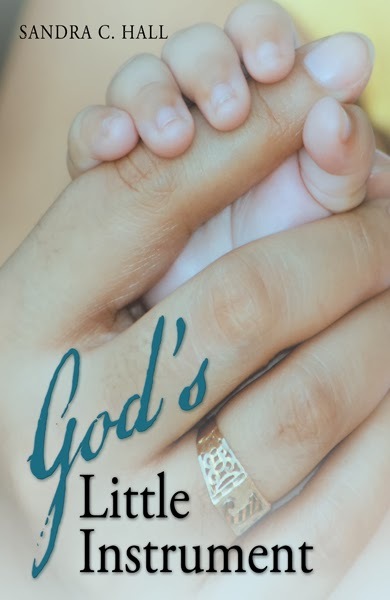 Each devotion is about a page in length, making it the perfect size for a quick devotion centered around God and the Amish. This isn’t a deep Bible study type book and isn’t intended to take the place of your Bible study. It is a devotional, taking less than a minute or two of your time. I love reading devotionals. They are just perfect for one-on-one moments with God when you need a quick pick-me-up, or a moment of God-time. This book fulfilled my expectations, with cute stories, applicable verses and proverbs, and a prayer (though I add my own additional comments there.) 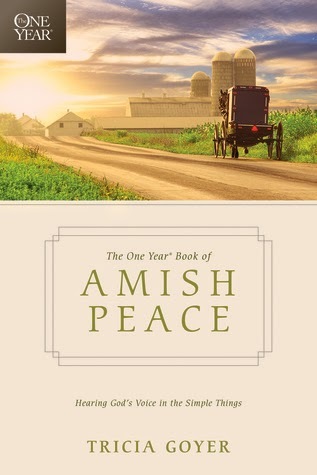 THE ONE YEAR BOOK OF AMISH PEACE would be a perfect devotional for the Amish fiction fans on your Christmas list, or for yourself. $15.99. 400 pages. 5 stars. Enter Today - 10/21 - 11/7! When Miranda Hunt sees the classified ad for an heiress to the legendary Last Chance Ranch, she knows assuming the identity of Annie Beckman is the perfect cover. As one of the finest agents for the Pinkerton Detective Agency, Miranda has been tasked with apprehending the Phantom - an elusive and notorious train robber thought to be hiding on the sprawling ranch. But she isn't the only one there with something to hide. Wells Fargo detective Jeremy Taggert is working the scene undercover as well. And although their true identities are a secret, it is impossible for Jeremy and Miranda to hide the spark that flares between them. But neither is about to let romance interfere with such a huge case. Besides, Miranda hasn't removed Jeremy from her list of suspects yet. The closer they come to uncovering the identity of the Phantom, the more dangerous he gets - and no one on the ranch is safe. But neither are their hearts - the longer Miranda and Jeremy spend working together, the harder it becomes to keep their feelings in check. Their careers - and their lives - depend on solving this case. Love will have to wait. GUNPOWDER TEA is the third book in The Brides of Last Chance Ranch series. Readers will want to read Dawn Comes Early and Waiting For Morning first as they are about two previous heiresses who come to the ranch. I absolutely loved GUNPOWDER TEA and even ordered some of the real gunpowder tea because I wanted to hear it pop. GUNPOWDER TEA was laugh out loud funny at times – and easily one of the best western historical romances I’ve read in forever. GUNPOWDER TEA was a wonderful book and if you like westerns or historicals, this is one book you won’t want to miss. A recipe for gunpowder tea bread is included as well as discussion questions. I’d give it more than 5 stars if I could. $15.99. 336 pages. Meet the author: Thrills, mystery, suspense, romance: Margaret penned it all. Nothing wrong with this---except Margaret happened to be writing for the church newsletter at the time. After making the church picnic read like a Grisham novel, her former pastor took her aside and said, "Maybe God's calling you to write fiction." So that's what Margaret did. She's now a New York Times bestselling author and a Romance Writers of America RITA finalist with more than 25 novels to her credit. Her first non-fiction book Grieving God's Way: the Lasting Path to Hope and Healing has won much critical acclaim. She is currently working on the third book in her Brides of Last Chance Ranch series. Not bad for someone who flunked 8th grade English. Just don't ask her to diagram a sentence. Interview with Beth Wiseman and Giveaway!!! 1. Why do you write the kind of books you do? I used to think that I was writing books for the enjoyment of my readers and to spread God’s word through the gift of story. I still believe that, but I’ve learned over the years that with each book, I am also ministering to my own soul—learning not to carry the burdens of the past and growing on my own spiritual path. 3. What is your current work in progress? I just finished a non-Amish contemporary that was way out of the box for me, and it’s a story that is close to my heart. It will take the reader from Texas to a dangerous place on the other side of the world. The Promise is totally fiction, but definitely inspired by a true story. 4. How do you choose your settings for each book? For my Amish books, Lancaster County, Pennsylvania is the setting, and I’ve traveled there several times to meet with Amish friends. I chose the town of Paradise in Lancaster County because of the quaint, small town feel—and of course, it is home to a huge population of Amish folks. I live in a small town in Texas, and I love the friendliness of the people and slower pace. That drew me to Lancaster County too. I have also released two non-Amish contemporaries set in small Texas towns—Need You Now and The House that Love Built. 5. What three things about you would surprise readers? I’m not really a blonde (although that might not surprise anyone). I sometimes walk around my house whistling the song from The Flintstones (I have no idea why). I’ve been on a coyote hunt (and won’t be going again). 6, What are your hobbies, besides writing and reading? I love to paint with acrylics. I’m not very good at it, but it relaxes me. And I love to cook and try new recipes. Luckily for me, my husband will eat just about anything. There have been a few recipes that didn’t turn out exactly as planned. 7. What advice would you give to a beginning author? It’s so cliché, but never give up. I believe anyone can get published if they study the craft and have even the tiniest bit of creativity. Most people will give up because they can’t handle the rejection that usually goes with the territory. 8. Is there one particular message or “moral of the story” you hope readers walk away with in Plain Peace? This would tie back to me ministering to my own sole. Peace comes from within based on the way we live our lives, our relationships with others, and certainly our relationship with God. Live your life in a way that nurtures others and makes you feel good about yourself. 9. How do you see yourself in your character’s story, if at all? I think there is always a little part of me in every character—even the bad ones, lol. For example, I tend to carry the burdens of my past. I forgive others easily, but I have trouble forgiving myself. And for a long time, I wondered if there was a ‘right’ or ‘wrong’ way to pray. Those are just a few examples. But my cup is almost always half full, though, and not half empty. I find hope in almost all situations. So themes of forgiveness, redemption, and hope usually find a way into my stories, and I think good stories are better when we bear our own souls a little bit. 10. What’s on the horizon for you? What will you be writing next? I will be working on a novella in conjunction with eleven other authors for a compilation of ‘bride’ stories. I’m the July bride. J From there, I’ll write another Amish novella, then an Amish full-length, then another contemporary, more Amish novellas, and so on... Lots of books on the horizon. I’ve been incredibly blessed. Answer this question to be entered into the giveaway. Who has been your favorite character in the Daughters of the Promise series, and why? Jerusha Springer’s Heart is broken . . . can it be healed? What if it takes a tragedy to mend it? Amish + Quilts = readers delight! And in this first book in Patrick Craig's Apple Creek Dreams series, readers will follow Jerusha Springer's journey out of tragic circumstances to a new life of hope. Jerusha has spent months making the most beautiful quilt anyone in Apple Creek, Ohio, has ever seen, and she knows it's going to take first prize at the Quilt Fair in Dalton. The prize will be her ticket out of the Amish way of life--away from the memories of her dead daughter and her tormented husband. But on the way to the Fair, she gets caught in the Storm of The Century and Jerusha's driver crashes their car. While the driver goes for help, Jerusha is led by someone, or something, to the side of a lost little girl. By the time the storm clears, Jerusha finds there is a greater prize to be won than money and blue ribbons. A QUILT FOR JENNA is the first book in Mr. Craig’s Apple Creek Dreams series. I thought it sounded really good, so I couldn’t wait to read it. But it started out rather depressing, so I put it down for a long while… and finally picked it up again. But it does cover an Amish man going off to war – which has become a somewhat popular topic in Amish these days, and it’s not your typical run of the mill Amish story. It is unique. Fans of Amish fiction might enjoy A QUILT FOR JENNA. It does have a happy ending. Discussion questions are included at the end. $13.99. 304 pages. 3 stars. 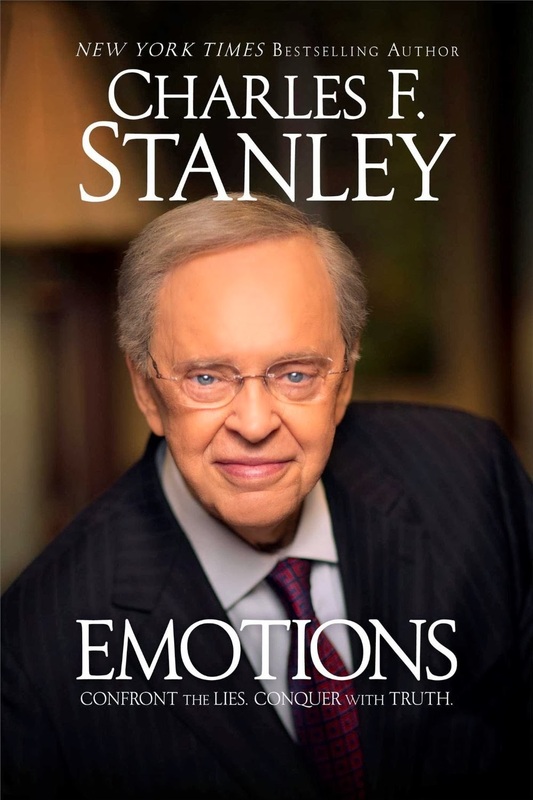 Writing with the concern of a counselor, the passion of a pastor, and the wisdom of a scribe, Dr. Charles Stanley presents EMOTIONS for your edification and inspiration; the subtitle clearly states the course of the book: CONFRONT THE LIES, CONQUER WITH TRUTH. And Dr. Stanley does just that. Just to clear the air, I’m coming to this review with a HUGE bias – Dr. Stanley (though we’ve never met in person) has been one of my favorite writers and speakers for over two decades. I was introduced to his messages by my mother-in-law, and was skeptical at first. Because I was a fundamental Baptist (and MAD about! ), and Dr. Stanley was affiliated with the Southern Baptist Convention. I don’t need to say anything more on that score. Either you catch my drift, or you don’t. But about halfway through the first message, I turned to my mother-in-law and said, “he doesn’t preach like a Southern Baptist, does he!” I was hooked, and I’ve broken spiritual bread with him on numerous occasions since that time. From page one of EMOTIONS, Dr. Stanley places the emphasis squarely on the most crucial aspect of the topic: a relationship with Jesus Christ as one’s personal Savior and Lord. Without that relationship in place, one is never going to be able to even open an honest discussion concerning ones emotions. From there, Dr. Stanley takes one on a journey through the emotions of pain, fear, rejection, bitterness, guilt and despair. He shares illustrations drawn from his own personal journey, as well as those of others. While not exhaustive, this book is nevertheless complete, as Dr. Stanley does not just provide case studies; he provides Biblical principles that will never change, regardless of the particular circumstances one may be facing. Thank you, Dr. Stanley, for the courage to tackle such a sensitive subject . . . and for shining God’s truth into the dark plans of our adversary. After tragedy strikes the family of young Naomi Bachman, her friend Rebecca does all she can to help. But things get complicated when Naomi's husband, Micah, returns from combat tours in Iraq and Afghanistan. He is under the Meidung--the shunning--and no one is permitted to speak to him or eat with him. But God has a way of working on the hearts of His people--especially at Christmas time. When an unexpected turn of events sets things right, miracles happen to the Amish community of Paradise, to the Shrock family--and to Naomi. Here is warm and tender story of faithfulness and reconciliation at the most wonderful time of the year. AN AMISH FAMILY CHRISTMAS is a sweet Christmas story. I like the way Mr. Pura works military into Amish stories a sure-fire way of tension, knowing their stance. I wondered how this story would play out, with Micah’s determination and strong-will, and the ministers’ equally strong will about the bann. The story had some wow moments. I literally couldn’t put this book down. If you are looking for a different sort of Amish story this Christmas, then AN AMISH FAMILY CHRISTMAS is one to consider. Recommended. $10.99 hardcover, with slipcover. 144 pages. To be honest, I’m not real sure what I feel about THE GOSPEL CENTERED WOMAN. It seems very concise, backed with scripture, and well thought out. It is written by a very conservative Christian woman, one of which I am. So, theologically I agree. Mostly. She is a bit contradictive, or maybe it was the only way she could think to word things, such as “in Heaven we won’t be married. Well, we will, but Jesus will be our groom.” (Not an exact quote, but close enough.) Seems, contradictory at first, but I know what she means. We will be the bride of Christ, not the bride of our Earthly husband. All in all, I recommend this book as a Bible study for a women’s Sunday school class or a women’s small group, or discussion group. There are pages ready for note taking on each chapter. This is not a casual devotion for women. It isn’t a book that can be read one short section at a time. Actually, it requires a lot of thought, interaction, and study. Which is good. 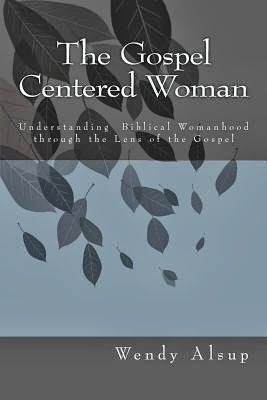 I’m going to recommend THE GOSPEL CENTERED WOMAN for women’s groups, or if you are looking for a deeper Bible study about God’s purpose for women. 4 stars. 154 pages. $8.99. For Candice Walker life has left her battered and bruised. Kaylan Smith has struggled with prejudice from her in-laws. Bitterness is trying to raise its ugly head, after fifteen years of marriage, Jordan Tate’s husband calls it quits. And for Tiffany Thomas dealing with rejection has never been one of her greatest qualities. “Stop preaching to me. I don’t want to hear it anymore. I’ve had enough of your self-righteousness.” The words continued to cut Jordan’s heart; words that she never heard before coming from the mouth of her husband, Eric. “You knew how I was before we got married.” His tone deepened with every word. 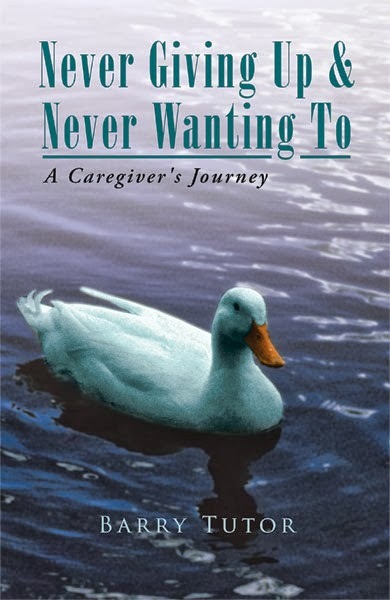 prepare you for your caregiving journey. families to decide between home versus institutional care. 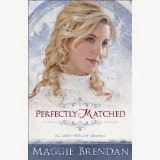 PERFECTLY MATCHED is the third book in Ms. Brendan’s The Blue Willow Brides series, but it easily stands alone. Fans will want to read Twice Promised and Deeply Devoted as well. I loved the other two books in this series, and loved PERFECTLY MATCHED as well. Anna is independent, smart, and naïve. Edward is a stick-in-the-mud. Stuck in his ways, easily upset, and fiercely detailed. I must admit I didn’t care too much for Edward, but he and Anna did compliment each other, and he did grow and change. Two other romances happened inside the pages of this book, which added a nice touch. I enjoyed getting to know Anna and Edward in the pages of this book. Don’t miss PERFECTLY MATCH. I read the book through in a day, it was that good. $14.99. 352 pages. 4.5 stars. The supernatural genre has been invaded by those who don’t know what they are talking about. And this could be a dangerous trend. For angels and demons are real, but they don’t always go masquerading as biker buds. Tommy’s pond has been contaminated with Provivilan – an insidious drug that could transform New York City’s children into an army of violence-addicted murderers. But for an occult cabal in the upper echelons of Linz Pharmaceuticals, contaminating the water supply is just part of an ancient conspiracy against all of humankind. Lis Wiehl and Pete Nelson join forces in this third installment of the East Salem series. I have not read the previous books, and unfortunately there is a real need to have done so in order to appreciate book three, FATAL TIDE. While the attempt has been made to “bring a reader up to speed,” I cannot call FATAL TIDE “stand-alone,” by any means. Readers will want to read Darkness Rising and Waking Hours first. FATAL TIDE is a series of false-starts, riddled with innocuous details that could have been left on the cutting board. Just when one is “getting into” the action, one is de-railed by a technical explanation that takes too long to understand, and too long to figure out the point the authors are trying to reach. On a more serious note . . . the authors claim to be writing about a supernatural war between good and evil, between God and Satan, between angels and demons. Yet the name of God is used no more than as an expression of horror, the Bible is nothing more than a book that Reese reads because he was bored, the angels ride around on Harley’s, and the demons assume physical forms of gargantuan proportions which makes them hideous to look at . . . but which humans can kill, if they bring enough firepower to bear. In other words . . . the war between good and evil can be won by humanity alone, and salvation by grace is no longer necessary. Hence, the dangerous trend that I referred to above. If man can defeat Satan singlehandedly . . . why haven’t they? 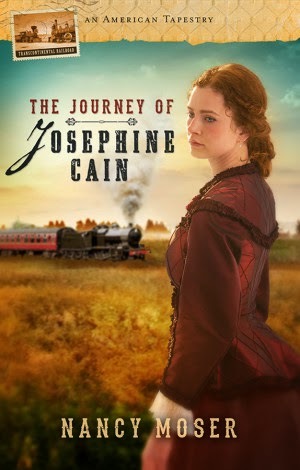 THE JOURNEY OF JOSEPHINE CAIN is part of The Tapestries of America series published by Summerside. They are all written by different authors and are about different time periods in America’s history, so they all stand alone. Ms. Moser is a hit or miss author for me. I’ve loved some of her books – others, not so much. I did enjoy learning about the progress of the railway after the Civil War, but otherwise, I found this book rather hard to get into. I couldn’t seem to care about the characters, and Josephine’s personality was a bit brash, rubbing me the wrong way. Since “strong” female characters are wanted in historicals, some fans of historical fiction might like Josephine better than I did. Also fans of Ms. Moser might. I did find it an invaluable tool about the history of the railroads as they were built across America from West to East…and vice versa. $14.99. 336 pages. 3.5 stars. Meet Nancy: Nancy Moser is the best-selling author of more than twenty novels. She is a winner and two-time nominee of the Christy Award, and her latest novel was named to Booklist's "Top 10 Romance Novels of 2011." Nancy and her husband have three grown children and three grandchildren, and they live in the Midwest. GLITTTERING PROMISES is the third and final book in Ms. Bergren’s The Grand Tour Series. The first two books are Glamorous Illusions and Grave Consequences. Readers will want to read these books in order as they do not stand alone. GLITTERING PROMISES is a really thick book – over 400 pages – but it draws the series out to a satisfying conclusion. It was very well done, as Ms. Bergren brought the Kensington family saga through many different trials to an ending that readers will be happy with. Fans of Ms. Bergren will not want to miss GLITTERING PROMISES – or any of her other books in this series. Afterwords is included at the end of the book with author notes, a chat with the author, and discussion questions. $14.99. 464 pages. 4 stars. About the book: Lisa T. Bergren's popular Grand Tour series concludes as Cora Kensington journeys farther into Italy, wrestles with a terrible ultimatum from her father, and comes to terms with the Father who will never fail her. About the author: Lisa T. Bergren is the award-winning author of over thirty-five books, with more than 2 million copies sold. A former publishing executive, Lisa now divides her time between writing, editing, parenting three children with her husband, Tim, and dreaming of her next trip to Italy. She lives in Colorado Springs. 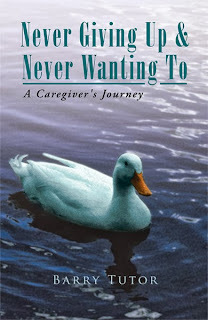 Learn more about Lisa here:http://lisatawnbergren.com.